I just wanted to remind you of the great blog candy that is available over on Asia's Blog where we are sponsoring a prize which will be from the new seasonal releases from Stampendous that they will be launching at the USA Trade show (CHA) in America this coming week. I am leaving the link to the original post here at the top of this page until the end of July, I hope you will visit Asia's blog and join in! Asia has also had her first Blogstar post for Stampendous today with when I looked I realised that Asia has used a stamp she won in our annual awards competition, the I Love Paris stamp which is also a favourite of mine. It is a beautiful entry Asia!! I have a couple of cards to show that I haven't shown here yet that I have made using the Woodware chippies, the ornaments sheet, along with Stampendous encrusted jewel Frantage products, the same I used on the handbag chippies in previous posts. I made up an A5 sheet using matching shabby enamels, shaved ice and glitters then cut it up or tore it to use as borders. I love the round baubles too! 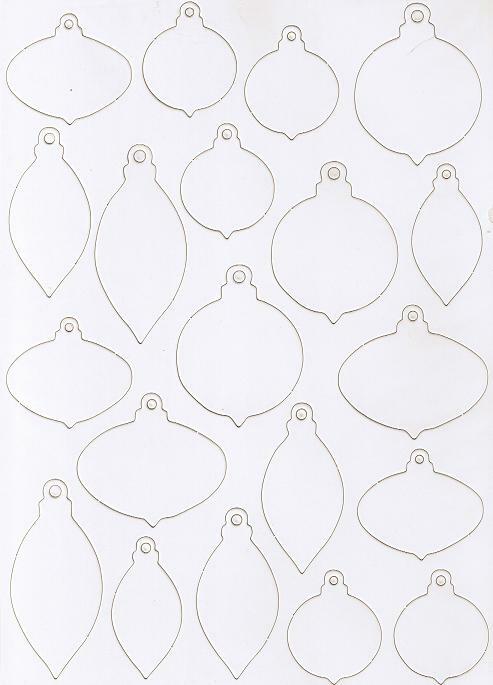 Woodware Bauble chippies - £1 per A4 sheet! Thanks for visiting and have a great week!! Oh, sooo pretty! How lovely to have slightly unconventional Christmas colours. 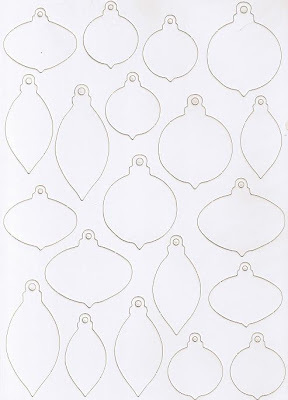 Woodware baubles here I come!